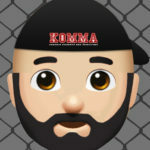 With a near blank slate of 2019 laid before the MMA goliath that is the UFC, we as fans are left fantasize about the potential matchup that will highlight the next 12-months. While we can pair together almost any dream matchup, I felt compelled to build a list of “10 Functional Fights to make in 2019”. These fights make relative sense within the division and could realistically happen should the proper phone calls be made. Let’s take a look at some of the fighters I want to see square off before the calendar turns over at the end of December. I start in the Welterweight division for a matchup of a former title challenger and a potential future contender. Till’s shot at the gold went about as bad as it could of, but the guy is still young, dangerous, and very exciting. Enter the Argentinian. Ponzinibbio is equally as dangerous and equally as exciting. Both Till and Santiago love to throw hands and have no concerns over taking their opponent’s best shot. Additionally, neither is known for their grinding ground game which suggests this bout stands to be a slugfest. If Ponzinibbio wins, he earns himself another huge victory and a possible shot at the title. If Till gets back on track, he quickly returns to the title contentions conversation. In a division that is currently dominated by wrestling heavy power punchers, there is definitely a need for a style shift that the winner of this bout could present. If you like heavy leathered fisticuffs, then have I got a fight for you! Cannonier is new to the division, but putting the stamp on David Branch in the manner he did put him in a very good spot. Is he ready to challenge the elite of the division? Probably not yet, but Paulo Costa represents a fighter looking to make a similar jump- so this fight makes sense. 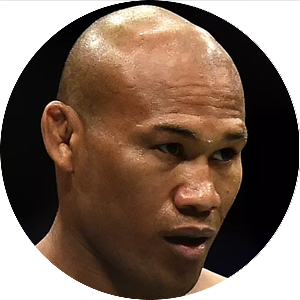 The top of the Middleweight heap has featured a lot of the same names for the last couple of years, but the winner of this fight certainly stands to make waves. Costa needs to showcase development in his patience and ability to win a fight beyond the first five minutes. Cannonier is in need of another stiff test to determine if his Middleweight debut was a fluke or not. This fight has been talked about before and has just never come to fruition. 2019 will be the year! Lineker loves to scrap, no questions asked. He has a head like a cinder block and hands to match. His biggest concern has been capable wrestlers that can take him down and keep him down. Rivera could look to go down that path and after a setback against Moraes, he just might. I’m banking that he opts to trade hands with the Brazilian instead. Rivera has been close, but he still needs a big win to catch the eye of the UFC brass. Lineker represents a massive challenge and if Jimmie comes out on top- he moves himself within reach of a title shot. The same can’t be said for Lineker who lost a decision to the current champion earlier in his career. Nonetheless, a win here only serves to help his cause in rebuilding his title aspirations. With “Bones” back on top of the division, new challengers will be lining up to be the first to off the Champ. Anderson is coming off a trio of wins that have re-established him as a fighter of note in the division. Unfortunately, his style isn’t garnering a lot of fan support for a shot at the strap. Conversely, Reyes is coming off the biggest win of his career, OSP, which also happens to be his first triumph outside of the opening round. He nearly got the late finish and won the fight from start to finish, but Dominick still needs to showcase his skills against the top of the division. Anderson’s cardio game will force Reyes to tighten up the most notable gap in his game- his conditioning. Conversely, Anderson’s questionable chin and vulnerability to getting knocked out remain a concern that Reyes could most certainly exploit. The winner of this fight doesn’t get a direct title shot, but it should serve as a final stepping stone to a title eliminator bout. Speaking of title eliminators, this fight is just that. 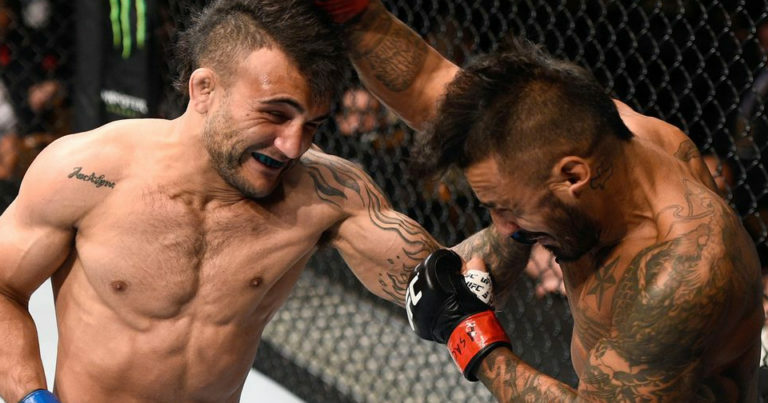 Volkanovski is an animal and proved it against Chad Mendes. Moicano impressed against Ortega in a losing effort and has got the better of everyone else that he has squared off with. Neither man has big name value, but they are getting there. A co-main event spot on a televised show or PPV spot could be just what the doctor ordered. With Cub Swanson and the aforementioned Mendes falling in their wake, these two fighters represent the next wave of competition climbing the Featherweight ranks. A division led by Max Holloway and that also includes “T-City” Ortega, Zabit Magomedsharipov, along with these 2 contenders is in good hands both now and in the imminent future. The Women’s Strawweight division has a couple of rising contenders and Nina Ansaroff could easily slide in here to fight either one of these girls or get a shot off her Gadelha victory. Suarez looks like an absolute beast and her devastating win over Carla Esparza solidified herself as title contender. Calvillo was getting a push before her loss to Esparza and subsequent sidelining with a failed drug test. Her return victory over Poliana Botelho reignited a lot of that momentum. Both girls can do serious work on the mat. Is that enough to win the title? Maybe? This pairing could force both girls to showcase their striking offence and round out their respective attacks. If either fighter opts to go to the floor and picks up a dominant win on the mat, that could be enough to secure them a shot at the title. Let’s talk title fights. Jessica Eye struggled through her tenure at Bantamweight- but she is 3-0 at Flyweight where she belongs. Yes, 2 of her 3 victories came via split decision- but they were strong performances nonetheless. Shevchenko is the champion this division deserves, but now she needs contenders to build her rein on. 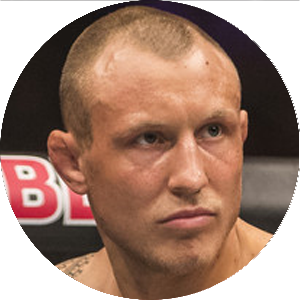 Eye is a veteran fighter that has faced the best of the best and was long seen as an elite 125er prior to coming to the UFC. With the inaugural champion slowplaying her first title defence and stalling out the progress of the division, let’s give Eye her chance at the crown and the division a chance to build some momentum. Who is left for Nunes to beat? Holly Holm is the answer. Holm isn’t undefeated and is far from a perfect fighter, but she a legit threat and a big name that has fought the best of the best. Nunes’s claim as the best of all-time is hard to challenge and adding Holm’s name to the list only further cements that legacy. Let’s do this fight at 135-pounds as both girls appear more suited for the division. The 145-pound division doesn’t have a bright future at this point which makes this fight much more appealing at 135 where there is an already established legacy and a legit roster of fighters. The untapped prospects looking to earn their rise to contention are simply not ready yet, let’s give them some time and make this potential classic happen. Yes, this fight has been booked unsuccessfully on multiple occasions. It appears to be a bout not destined to happen and it has quickly become a promoter’s nightmare. The fans want to see it, the rankings certainly dictate it, but the fighters simply can’t stay healthy. Either way, Ferguson has been an unstoppable force and Nurmagomedov hasn’t met an opponent he can dominate. Please make this fight happen. Conor McGregor held up the division as the champion and he had his opportunity to put the “Eagle” down and came up short. His desire to avenge his loss should not once again stall out Lightweight progress. Khabib clearly has to deal with the consequences of the post-title fight brawl, but hopefully, that scenario doesn’t derail this fight. What a great PPV main event this fight would be to end 2019 with. So those are the ten fights I want to see in 2019. Let’s see what come to fruition over the next 12-months and if any of these bouts get signed on the dotted line. Who wins? Who loses? Who makes 2019 their year? See you back here in a year.